Ice cream is such a wonderful and tasty thing. Is it strange that I have memories of eating ice cream? I remember my whole family gathered around watching the Sunday night movie on TV. I think it was Superman, I can’t quite remember, but I do remember the ice cream and chocolate syrup that was dished out during the commercial breaks. I grew up in Wyoming and made several trips to Utah every summer to visit family. At about the halfway point of the drive is a teeny tiny town, and guess what? They have an amazing ice cream shop. We had to stop there on every trip.I would almost always get the pink bubble gum ice cream. I also remember the totally amazing ice cream stand we used to visit weekly in New York when we lived there for a year. Their mint chocolate chip ice cream was so good. 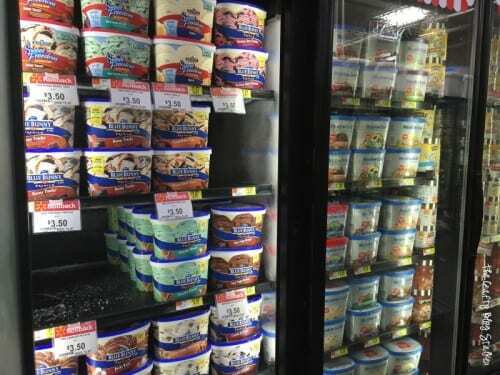 After my sample(s) I headed straight to the frozen section and grabbed my own quart of Blue Bunny Vanilla Ice Cream. 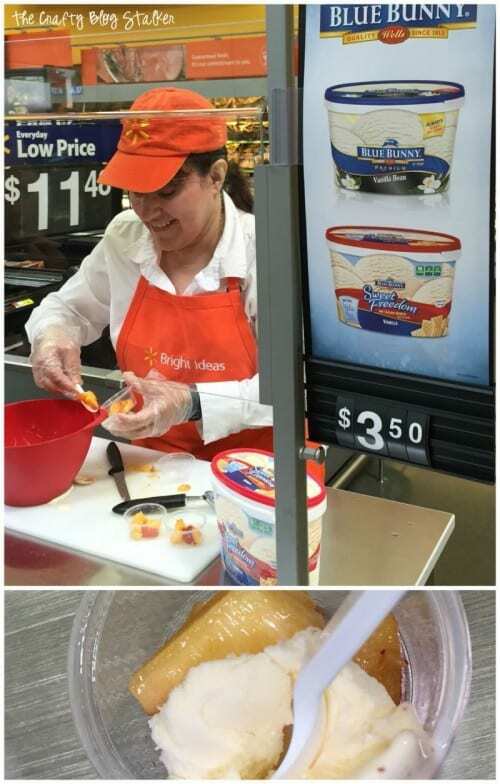 As I was finishing my grocery shopping I couldn’t stop daydreaming about the vanilla ice cream and peaches. That is when I had my lightbulb moment. 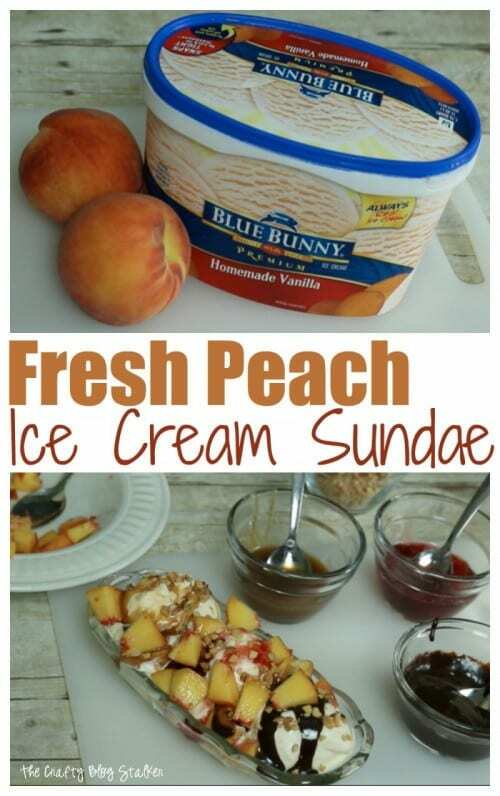 Instead of a banana split sundae, I was going to make a fresh peach sundae. My sundae was still going to have the different toppings; the hot fudge, caramel and strawberry just like the banana split, I would just substitute the peaches for the banana. Yum! Click through to the next page for the recipe. I love anything with peaches! Thank you for sharing with us at Brag About It! Thanks so much for stopping by! Thanks for sharing your delicious post!